I love strong female characters so this is easy, the tough teaser, but they are all good. I loved this story and can hardly wait for the next one. :-) Great post and character profile, Chrys. All the teasers are good, but I'd go with the smart one if I had to pic. Now I'll go back to staring at Kate. The tough teaser was definitely the most fun to write. The tough one is my favorite for sure, followed by the romantic one. I like the smart teaser...right now. My mood changes. I'm glad you like the smart teaser. It took a lot of thinking to write that obe. Beth Kennedy sounds like a great character. They're all great, but I think the Tough Teaser is neat. Tough is first in my book, followed by romance. 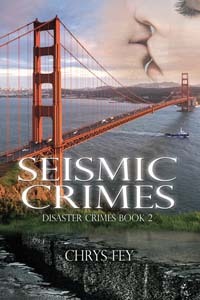 I'm looking forward to Seismic crimes. I liked all of them. Great post to read. I like the 'smart' teaser. Kate Beckinsale is one tough girl. Perfect Doppelganger! I love Kate. She's a great actress. I like the tough one and the romantic one best but they're all intriguing. I can't wait for this read! Great teaser, Chrys! Nice preview. I can't wait to read it. I liked the tough preview the most. It helps remind us she's a self defence instructor. So, this seems to be a direct continuation from the last story. Cool. I vote tough teaser! Great writing and exciting scene. She likes to canoe in Florida but doesn't like snakes :) I'd vote for the first teaser.